For under £100 per year you have a dedicated Committee, acting in your interests, and helping maximise the opportunities for your businesses at shows across the UK. The more members we have, the more representative we can be in support of our precious, and diverse, horticultural businesses. 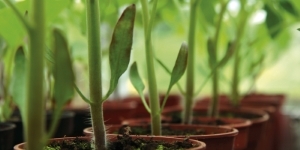 The support for your horticultural business, which being a member of a professional body can bring. The HEA Committee will do all it can to act on your behalf in an objective and fair way. Whilst we may not be able to arbitrate in support of single issues, we are able to advance issues common to many members. Once again, the more members we have, the more powerful our voice, and bargaining position for better financial benefits, and so on. To follow a Code of Conduct when participating in shows. This code has been designed to encourage a professional approach to exhibiting, which will benefit members, show organisers and the public. Support for activities designed to help improve the show experience, from participation in show initiatives to surveys. Active support for HEA initiatives, seminars and events such as the AGM - you do not need to be a Committee member to get more involved. Retired: members who have retired from exhibiting but are still active with their businesses and associated horticultural activities. They are still linked under their specialism.